There are pros and cons of fishing a tournament on local waters. Ott DeFoe showcased the pros. Despite not having fished Fort Loudon-Tellico lakes in years, DeFoe still had decades of experience on the fisheries in his backyard (hence why he was, statistically, one of the favorites going into the event). 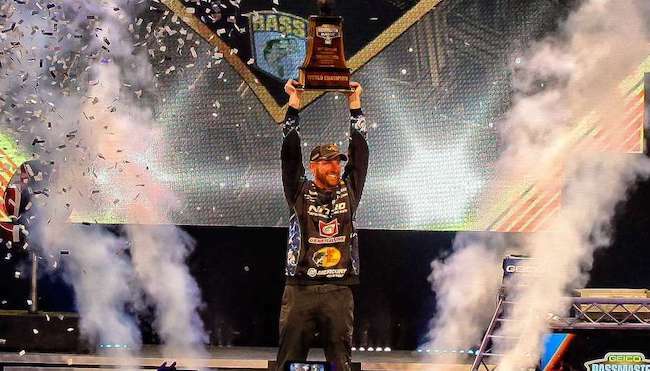 He was able to put that experience to good use, while making some key adjustments, to take home his first Bassmaster Classic trophy. DeFoe knew even before practice he would focus on hard-bottom stretches or submerged hard targets (wood, stumps) in water no deeper than 7 feet. Sure enough, both largemouth and smallmouth were there come tournament time, and he plucked the majority of them with a Storm Arashi Vibe lipless crankbait. DeFoe was hardly an unknown coming into the event, but he’s always flown a little under the radar, despite being consistently one of the best in the sport. His rankings back that up, as he’s been ranked No. 1 in the sport before and he was No. 9 going into the Classic. Now? He’s back up to fifth. Just ahead of him is Jacob Wheeler, whom DeFoe beat out for the Classic title. Wheeler has begun to separate himself from the pack, as he’s further solidified his No. 1 ranking. Meanwhile, Edwin Ever’s top 10 at the Classic helped him hold steady and surpass Brent Ehrler, who had a terrible finish despite the tournament seemingly lining up in his wheelhouse.